Entry-Level Phone with HD voice and 2 SIP Accounts. Yealink introduces its new product line of low cost entry-level IP Phone SIP-T20. It has T1 TITAN chipset and voice engine. A clear display having 2X15 characters. Amazingly this basic phone offers 2 SIP accounts, HD voice, and all types of audio codecs. 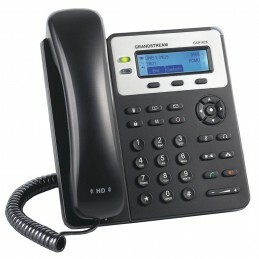 This basic VoIP Phone has non-compromising security protection meant to keep your privacy safe. XML Phonebook makes this model even rich feature at low price. Headset quite a nice feature for call centers. This phone can be mass deployed using easy to use auto-provision feature. Be it Asterisk or any other IP-PBX this phone works out of the box. It fulfill requirment of any basic business telephony by providing easy to use make-a-call or take-call feature. SIP-T20 is easy to deploy, use and maintain IP Phone. A perfect choice for budget concious small and medium size business.